Sprawled across over 145 hectares of Tomamu Mountain, Club Med introduces a thrilling snow escape where powdery perfect slopes are just waiting for discovery. From skiing, sledding, and trekking, to riding Japan’s largest indoor wave pool, guests seeking winter excitement will find it at Club Med Tomamu Hokkaido all-inclusive resort. At Petit Club Med, our youngest guests will enjoy a space packed with activities all their own to make their adventure to Hokkaido unforgettable. Managed my experienced G.O.®s, who are internationally recruited and trained, the Petit Club is a place for your little one to dive into playtime with creative and enriching activities such as puppet shows, arts and crafts, face painting, and pyjama parties. Each child receives special attention with your needs in mind so you can enjoy a little downtime of your own. When it comes to your children and ensuring they have plenty of things to do in Hokkaido, we’ve thought of everything. We’ve curated our Mini Club Med to offer them an adventure-packed holiday complete with a variety of sports and activities to keep them engaged and excited. For those who want to experience the best of Hokkaido skiing, our ski school instructors will help them set their own pace, while those more interested in other pursuits can take part in arts and crafts, dance, performances, and group games and activities. Lunch and teatime will be provided during the day to keep parents’ minds at ease. After dinner, they can even enjoy specially created activities to make evenings more fun. For our teenaged guests, we understand they need freedom to express themselves and have fun on their own terms. Our Club Med Passworld®, teens can take to the slopes for thrilling adventures in Alpine skiing or snowboarding, or take part in creative activities like playing with makeup, learning graffiti art, dance, singing, and music performances, cinema, or video games. In the evening, teens turn up the volume at disco night or with a variety of shows and films to choose from. There are endless ways to have fun, be themselves, and explore new and exciting adventures at our Hokkaido all-inclusive resort. When it comes to babies and children, we’ve thought of everything so you don’t have to. Our youngest guests enjoy a special, personal welcome along with a selection of amenities to use in-room or in the baby feeding area to ensure a comfortable stay. In-room amenities include: sleeping cot, changing mat, baby bath, high chair, and bottle-warmer. At our dedicated baby area in our restaurant, amenities include: sweet and savoury baby foods, a baby corner equipped to prepare babies' meals, and high chairs or booster cushions. Spare pushchairs are also available upon request. During your Hokkaido travels, it’s important to enjoy all of the conveniences of home. For parents with young babies, we have provided a dedicated Baby Corner (located in the main restaurant) complete with savoury and sweet baby foods and all of the equipment necessary for preparing babies' meals to ensure ultimate convenience and comfort. For parents who wish to enjoy a little free time in the evenings, the Pyjamas Club offers a convenient solution for childcare at our Hokkaido hotel. This group babysitting service, which is run by experienced G.O.s in a dedicated, safe area, provides all the necessary comforts, including beds, daybeds, and a video area, to ensure your child is in good hands while you enjoy your evenings for two. Play knows no boundaries at our Hokkaido resort. At our exclusive Snow Garden, children over 4 years can learn to ski or snowboard and use the magic carpet with the guidance of our experienced G.O.s. Other snow activities include snow sliding, sledging, and a selection of fun games. During the renowned Hokkaido ski season, discover the modern meets natural chic design of each of our 341 rooms and suites. Crafted by award-winning architect and designer, Jean Philippe Nuel, our Hokkaido hotel embodies an urban aesthetic mixed with elements of Japan’s colourful four seasons throughout. Winter is the best time to visit Hokkaido, when snowy mountain vistas are captured in every direction from both of the resort’s buildings. Suitable for honeymooners, families, or friends looking for an adventuresome winter escape, a holiday getaway to Club Med Tomamu Hokkaido resort is unforgettable. Please note: Guests may request the use of a baby cot for children 2-3 years old, based upon availability. Accessible rooms are also available on request. Cosy, comfortable, and suitable for couples or up to 6 people, the Club rooms (located in the Hidaka and Yubari buildings) are as flexible as they are stylish. Warm wood tones meet modern pops of yellow and cool blues with an urban modern appeal in each room. Guests can peer out expansive windows to take in the crisp views of our Hokkaido ski resort, and get ready for thrilling days out on the slopes. Featuring a television and WiFi access as well as a well-appointed bathroom, the Club rooms are relaxing reprieves to return to after days of sunshine, snow, and sports. Step into a stylish haven all your own with our spacious Deluxe rooms. With plenty of space to host up to 5 guests, complimentary turndown service, and a well-appointed bathroom, comforts abound in this mountain escape. Spend the afternoon skiing and trekking sky-high slopes and then retire to a room that enjoys entertainment comforts like a television and WiFi access for connectivity. A separate lounge area is where the day’s plans are made and where stories from adventuresome days are shared. With even more space to stretch out, our chic, sun-drenched duplex Suites—located in the Yubari building—offer stunning views of our Hokkaido ski resort. Each contemporary Suite sleeps up to 6 guests and features a separate lounge area for enjoying a morning coffee from room’s espresso machine or for winding down at the day’s end with a cup of tea from the provided kettle. Turndown service, cosy slippers, and a bathrobe are added comforts while a television, WiFi access, and an MP3 player provide entertaining options en suite. A well-appointed bathroom is perfectly suited for freshening up before days out on the powdery slopes. Our stylish, modern Suites offer a premium experience at our Hokkaido resort. Unlock the flavours of Hokkaido with a savoury selection of fresh, locally inspired cuisine, including Yakiniku, to tempt every palette. Please note: In accordance with Japanese law, Club Med may serve alcoholic beverages to guests aged 20 years and older. Savour a variety of international and Japanese delights, including the freshest fish, from our main buffet restaurant. With 4 distinct spaces, each inspired by a different season, the setting will surely surprise. Spring, summer, autumn, and winter, with the Unkai Terrace (available in summer only), each offers a unique gastronomic adventure to share. Imagine the scent of fresh Yakiniku steaming off the grill. Haku, our Hokkaido resort speciality restaurant, prepares this beef Japanese delicacy to perfection paired with a selection of delicious side dishes to complement. Open breakfast, lunch, and for an à la carte dinner, enjoy an authentic dining experience to cap off an unforgettable day. Private rooms can be reserved for groups of 6-12, based upon availability. This restaurant will welcome you in Winter from January 2018. Whether winding down by the warm fireplace or energizing the nights on the dance floor, Unkai is the hottest place to sip an ice-cold pint or two. Take in spectacular mountain vistas while music fills the air. The Nest bar is a prime place to warm up after days on the mountain. Settle into cosy seating with cocktail tables or at the bar and enjoy a selection of small bites and a curated tea lesson. Guests can also take part in the bar’s daily immersion into some of the best local whiskies and sakes. Poured by a knowledgeable bartender, they may enjoy a guided tasting of 5 premium Japanese whiskies like award-winning Nikka and Suntory’s single malt Yamazaki or Hakushu, as well as local sakes. Mahjong tables as well as live music set the scene. 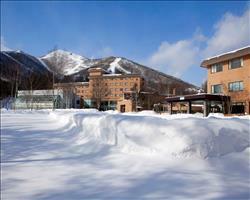 We update Club Med Tomamu Hokkaido's details often, but facilities do change. e.g. some extras listed by the supplier as "free" or included might only be for the first time you use them, or for one time per party, then charged for further use. If any specific feature is essential to your holiday, make sure you ask us to confirm the details of it before you book your holiday. This all inclusive holiday to Club Med Tomamu Hokkaido in Tomamu, Japan departs Monday 2nd March 2020, for a 7 night stay on a "all inclusive" board basis. Tomamu lift pass price last reported as ¥5,400 (adult 1 day). Ask for a quote when booking Club Med Tomamu Hokkaido. Tomamu has S facing slopes. Club Med Sahoro H... Sahoro Japan, Without Flights to Without Flights 3rd March.